Three fabric layers within one chic design. As the name suggests, Tripleshade Blinds consist of three layers. Between two layers of beautiful sheer fabric sits one layer of horizontal Venetian style blinds. These versatile blinds are designed with a compact roller system and can block out light and maintain privacy with ease. If you wish to enjoy an unobstructed view of the world outside, they can easily be rolled up. Tripleshade Blinds provide the benefits of multiple blinds in one single product, functioning as both a blind and a curtain. Throughout the day, sunlight can be adjusted by moving the horizontal vane up and down. 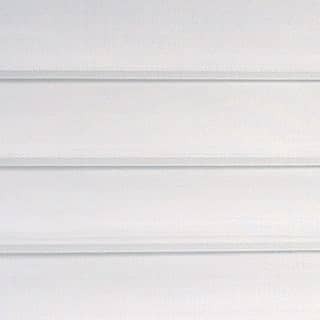 The unique angles of the slats allow for light to soften before entering the room, which will protect your furniture and interior from harsh, damaging ultraviolet rays. For maximum privacy at night, simply close the slats to block out the outside world. In addition to their contemporary and sleek appearance, one of the greatest benefits of these blinds is how low maintenance they are. All you need to do is brush them now and again to make sure they stay free of any dust and debris that may be in the air. ABC’s child safe chain system not only lets you control the angle of the horizontal panels, but also retracts the blind completely into its stylishly designed cassette system. ABC Tripleshade Blinds are custom-made in Perth, and have been designed specifically for WA conditions, so you’ll know that your window dressings are built to last. 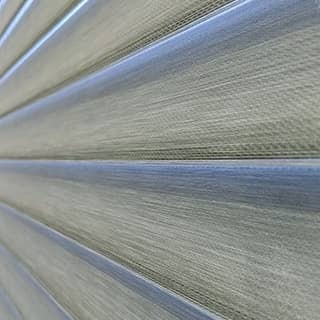 At ABC Blinds, we offer a wide range of plain and textured fabrics in different colours to suit any home or office. Tripleshade Blinds are available in four classic dim-out colours and two light filtering options. As one of the most stylish types of blinds in the market, Tripleshade Blinds will look good in any room. Interested in Tripleshade Blinds? These blinds are available with ABC’s intelligent home motorisation system: SmartHome. This innovative device connects to your home WiFi, allowing you complete control of your window treatments using just your voice or your smartphone.